During the golden age of the studio system, Hollywood studios were very protective of their stars’ images. The last thing any studio wanted to happen was to have one of their prized stars’ images tarnished by a scandal. To keep bad publicity at bay, studios would hire people to put the kibosh on stories before they made their way into the gossip columns. Eddie Mannix (Josh Brolin) is one of these “fixers” for Capitol Pictures and the time and energy he has to invest into protecting the studio’s stars takes a toll on his personal life. First of all, Capitol Pictures is in the middle of production on their latest prestige picture, Hail, Caesar!, when its star Baird Whitlock (George Clooney) suddenly disappears. Baird has a reputation for womanizing and going off on benders for days at a time, but this time, he’s been drugged and kidnapped by a couple of extras who are working as part of a group of Communist sympathizers. The group sends a ransom note to Capitol Pictures, demanding $100,000 for his return. When Baird wakes up in the home of a Hollywood big shot, he actually begins to side with the Communists, not realizing his fellow Capitol Pictures star Burt Gurney (Channing Tatum) also has ties to the organization. Then there’s DeeAnna Moran (Scarlett Johansson), the musical star with a wholesome image who is expecting a child out of wedlock. Not willing to go along with a studio-arranged marriage, she is willing to go along with Mannix’s other idea of putting her child up for adoption, then adopting it back. Not quite as scandalous is the matter of Hobie Doyle (Alden Ehrenreich), the singing cowboy star whose career is being forced in a new direction. While Hobie was right at home with a lasso and a horse, he’s hopelessly struggling with his latest role in a more sophisticated period film. He desperately wants to be out of the picture, but Mannix insists he finish the movie and insists he start being seen with starlet Carlotta Valdez (Veronica Osorio) to continue building his new image. In the midst of all this, Mannix is struggling to decide whether or not he ought to accept a job offer from Lockheed Martin. When the trailer for Hail, Caesar! hit the internet back in October 2015, I, like many people, was really excited about it. Unfortunately, I liked the trailer more than I liked the movie. Hail, Caesar! wasn’t a bad movie by any stretch of the imagination; I got some good laughs out of it, liked many of the performances, and thought the sets were fantastic. And any fan of classic Hollywood is bound to have fun picking up on all the references to real stars and incidents that inspired its various storylines. 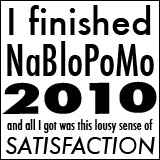 However, the direction felt unfocused and the movie felt longer than its 100 minute runtime. With so many different characters involved and so many storylines going on in such a short amount of time, there just wasn’t a whole lot of time to develop any of them into anything I was genuinely interested in. For example, the DeeAnna Moran story was clearly inspired by the ordeal Loretta Young went through to cover up the fact that her daughter Judy Lewis was fathered by Clark Gable. 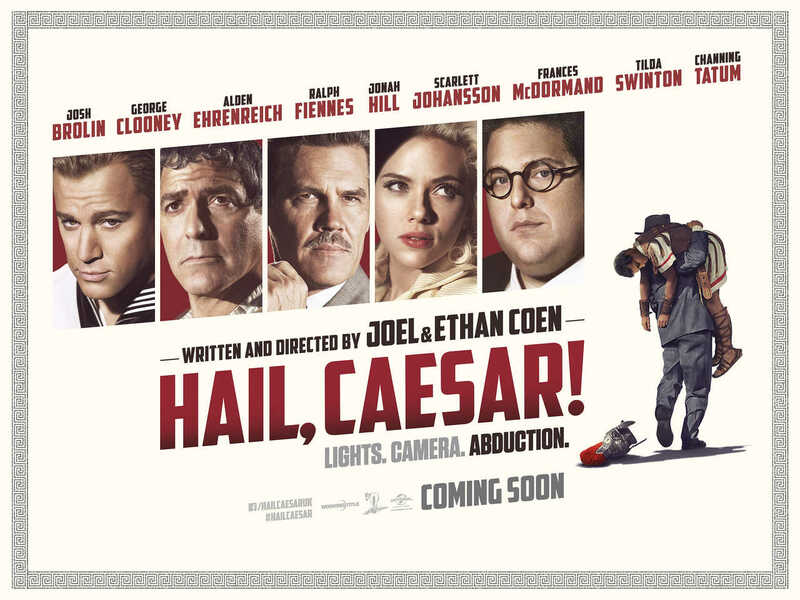 The real story of that is one of Hollywood’s most notorious scandals and could certainly be a movie unto itself, but it’s actually one of the least interesting storlyines of Hail, Caesar! All in all, there are worse ways to spend 100 minutes, but it’s ultimately a lot of missed potential. If you haven’t seen it yet, it’d be worth checking out if you can catch it at a cheap show. 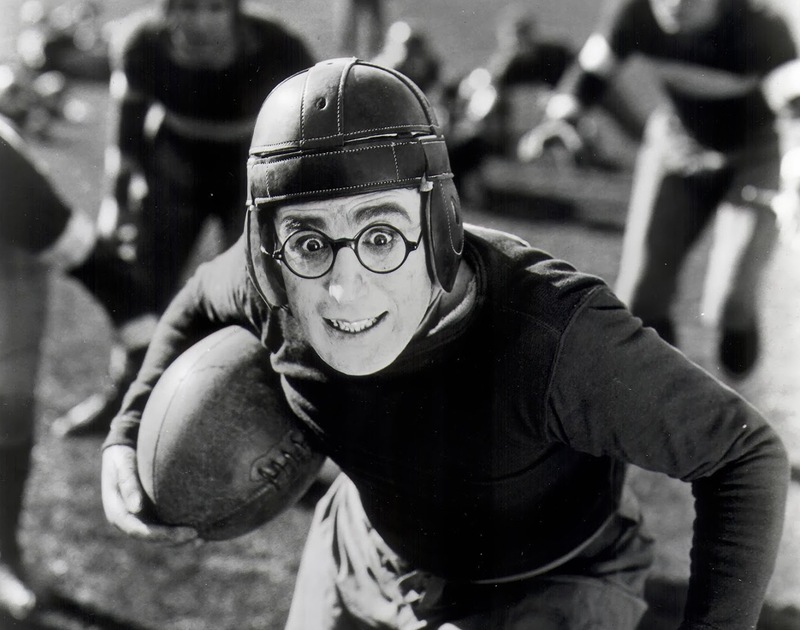 More than anything else, Harold Lamb (Harold Lloyd) dreams of being able to go away to college and be a big man on campus. He works hard to be able to go to Tate College, but since he’s not the coolest guy in town, he decides to see a movie called “The College Hero” over and over again and takes notes on everything the main character does. Once his parents see some of the things Harold is planning to do, like doing a jig anytime he meets someone new, they know this isn’t going to end well. Once Harold arrives at Tate College, his behavior does make him popular, but for all the wrong reasons. He quickly becomes a target for other students to pick on and Harold’s tendency to try to buy popularity doesn’t do him any favors. The only real friend he has is girl named Peggy (Jobyna Ralston), who he had met on the train to Tate and just happens to be his landlord’s daughter. She sincerely has a crush on Harold for the person he really is, not the person he tries to be. Eventually, Harold realizes that if he really wants to be popular, he needs to get on the football team. Of course, Harold’s try-out is a complete disaster, but the coach admires his persistence and when one of the team’s most popular players suggest they make him the team’s water boy and let him think he’s a replacement, the coach goes along with it. Thinking he’s made the team, Harold tries taking another step up the social ladder by hosting the school’s Fall Frolic, but the night ends up being another disaster when his tailor isn’t able to have his suit ready on time. Since his suit is only held together with very loose stitches, the tailor has to secretly keep stitching him back up throughout the night. Then things get even worse when Harold and a popular student get into an argument over Peggy and Harold finds out how the other students really see him. But when Tate College is playing in a big football game, Harold finally has a chance to earn the popularity he’s always wanted. The players on the other team are so strong, all of Tate’s players are forced out of the game because of injuries. Harold is eager to get in the game, but the coach hesitates until he has no other choice. After he finally gets in the game, Harold nearly loses the whole game, but he manages pull through in the end. I absolutely despise football, but watching The Freshman is one of the rare occasions I will gladly watch something football-related and have a darn good time doing so. Harold Lloyd is an absolute genius and The Freshman is one of his best movies. He was so perfect at playing sincere, likable, but kind of dorky characters; he had it down to a fine art. Not only is Lloyd’s performance excellent, it’s full of absolutely hilarious jokes but still has a lot of heart to it. This is everything a good silent comedy should be. The Freshman is an absolute delight, plain and simple. If you’re just starting to get into silent films and are looking for some movies to help you get started exploring silent comedy, The Freshman is one I would very highly recommend. Posted in 1920s, Comedies, NaBloPoMo 2015, Silents and tagged Harold Lloyd, Jobyna Ralston on November 29, 2015 by Angela. Buster Keaton and Fatty Arbuckle both play stagehands at a vaudeville house. Their jobs typically involve things like pasting up new posters, helping with the sets, and assisting the performers as necessary. The performers they encounter can be a very colorful, temperamental bunch of people and when a strongman (Charles A. Post) comes to perform, he’s no exception. The strongman has a very…shall we say demanding personality. His assistant is a lovely woman (Molly Malone) and when the stagehands see him being mean to her, they decide to teach him a lesson by sabotaging his equipment. Furious, the strongman refuses to go on and so do all of the other performers. With a theater full of people waiting to see a show, the stagehands decide to put on the performers’ costumes and do the show themselves. Of course, the show is a complete disaster, but the stagehands try to carry on the best they can. Things get even worse when the strongman appears in the balcony with a gun and starts firing it. But Buster comes to the rescue and stops the shooting while the other stagehands help put a stop to the madness. Back Stage is far from being one of the best movies Buster Keaton ever made, but it’s still a lot of fun, good for some laughs, and it’s a good example of what a good team Keaton and Abruckle were. One of the most noteworthy things about it is that is has some jokes that Keaton would go on to re-use to in other films to great success, particularly the very famous joke where the front of a house falls and the person standing in front of it survives because they were standing where the window was. It’s not the kind of movie I’d go out of my way for, but if you’re a big Keaton fan, it’s worth seeing if only for being a movie where you get to see early versions of such famous jokes. Posted in 1910s, Comedies, NaBloPoMo 2015, Silents and tagged Buster Keaton, Fatty Arbuckle, Molly Malone on November 24, 2015 by Angela. 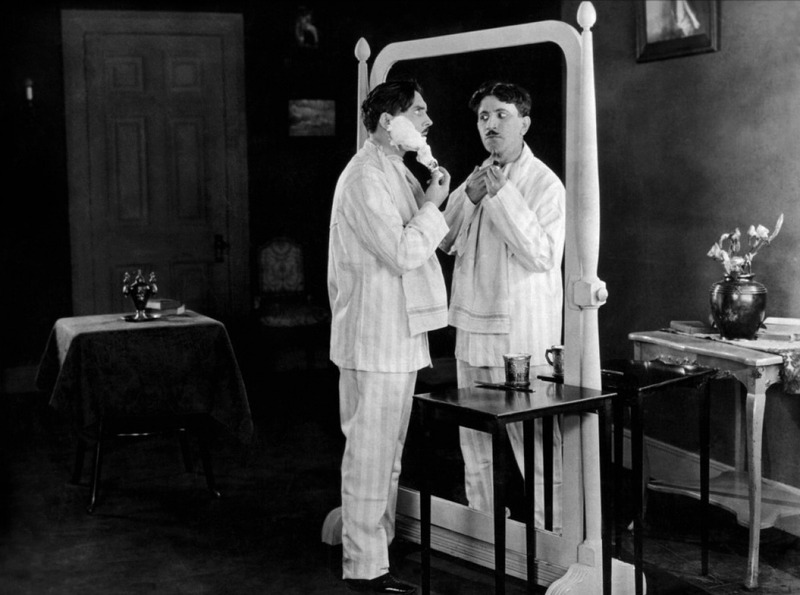 After his raucous bachelor party, Max (Max Linder) comes home very drunk the next morning. He’s so drunk he doesn’t even recognize his own bedroom. The next morning, his butler accidentally breaks Max’s mirror while flirting with the maid and tries to pretend nothing happened, even going as far as to convince another house employee to dress up as Max and stand on the other side of the mirror and mimic him while he gets ready until the mirror can be replaced. It doesn’t take Max long to realize what’s going on and make him want to destroy the illusion. But then his fiance Betty (Alta Allen) calls and interrupts him and while he’s away, the mirror is replaced. So when he comes back to throw something through the mirror frame, he ends up breaking the mirror. Max is a bit superstitious, so the thought of starting seven years of bad luck just before his wedding horrifies him. He does everything he can to avoid bad luck. When he goes to see Betty, her maid offers to read his palm for him while he waits for her and she tells him he’ll have bad luck with a dog. Since Betty has a dog, Max tries to get rid of it and Betty isn’t pleased and breaks things off with him. She changes her mind, but Max’s behavior once again bothers her and she ends it with him again. Desperate to save their relationship, Max gets his friend to talk to Betty on his behalf, but his friend has been in love with Betty and tells her that Max has run off one of his old girlfriends. Deeply hurt, she decides to marry Max’s friend out of spite. When Max finds out what’s been going on, he decides to get away from it all with a train trip. But he gets robbed before he can get on the train and tries to sneak on. His presence doesn’t go unnoticed by the train conductor and Max has to spend the trip trying to evade the train employees. Eventually he’s arrested and has to see a judge, but it just so happens Betty and Max’s friend are there to see the same judge to get married. But is Max’s streak of bad luck over? Out of all the silent film comedians, I’ve long felt like Max Linder has been overdue for rediscovery by classic film fans. He was a tremendous influence on so many of the great classic comedians like Chaplin, Keaton, and the Marx Brothers and Seven Years Bad Luck is an excellent example of how brilliant he was. The whole scene with Max’s employee trying to be the mirror image of Max was clearly an inspiration for Groucho and Harpo’s famous mirror scene in Duck Soup. Even though it’s a slapstick comedy, Linder does a fantastic job of handling everything with style and grace. Seven Years Bad Luck is not the broad, over the top style of slapstick that something like Tillie’s Punctured Romance is. It’s a very fun and clever little comedy that I’ll admit kind of starts to drag a little bit near the end, but is still highly enjoyable. Posted in 1920s, Comedies, NaBloPoMo 2015, Silents and tagged Max Linder on November 18, 2015 by Angela. Ossi (Ossi Oswalda) is the spoiled daughter of Quaker (Victor Janson), a wealthy man who has made his fortune in oysters. When she finds out the daughter of a shoe polish magnate has just married a count, she’s absolutely furious that she isn’t married yet. To calm her down, Quaker promises to buy her a prince and gets in touch with a matchmaker to find someone with a suitable family tree. The matchmaker knows just the man for Ossi — Prince Nucki (Harry Liedtke). Only Prince Nucki isn’t actually a prince, he’s poor and lives in a very run down apartment with his friend Josef (Julius Falkenstein). When the matchmaker shows up to tell Nucki he’s found a match for him, Nucki and Josef are stunned that their scheme actually worked. To keep up the illusion that Nucki is a prince, Nucki has Josef pose as his representative to go see what Ossi is like. When Josef arrives at Ossi’s home, everyone assumes he’s the price. Ossi doesn’t make a very good first impression of him and she isn’t too fond of him either, but she’s so eager to get married, she marries Josef that very night. Since their marriage was a spur of the moment thing, their reception is strictly for close family, which still ends up being a big soiree. Everyone has a wonderful time, especially Josef, who hasn’t had a good meal or a drink in a long time. Ossi dances the night away while Josef drinks the night away. Meanwhile, Nucki is back at his apartment having a terrible dinner before he gets invited to get drunk with some friends. The next morning, Ossi goes to a meeting for a women’s group dedicated to fighting dispomania and Nucki happens to be one of the drunks brought in for them to cure. Since he’s the only young, handsome drunk in the bunch, all the women fight over who gets to cure Nucki and Ossi wins. She flirts with him and insists on bringing him home with her as part of his treatment. When Josef finds Nucki passed out at Ossi’s home, he can’t help but laugh because they don’t realize he got married under Nucki’s name so he and Ossi are the ones who are married. Ernst Lubitsch has a well-deserved reputation for being one of the best directors to ever work in Hollywood. His very distinctive knack for witty, sophisticated dialogue and characters remains unsurpassed. But before coming to Hollywood, Lubitsch was making equally sophisticated and witty silent films in Germany that tend to be overlooked. Since The Oyster Princess is a silent film, obviously it doesn’t have as much sharp dialogue as something like Ninotchka or To Be or Not to Be, but it’s still a very witty movie with an incredible amount of style. It’s still very uniquely Lubitsch’s style. Ossi Oswalda is very charming actress and was considered to be Germany’s answer to Mary Pickford. It’s too bad she didn’t become a more widely known store because I really like her a lot. Posted in 1910s, Comedies, NaBloPoMo 2015, Silents and tagged Ernst Lubitsch, Harry Liedtke, Julius Falkenstein, Ossi Oswalda, Victor Janson on November 16, 2015 by Angela. Elmer (Buster Keaton) is the biggest fan actress Trilby Drew (Dorothy Sebastian) could ask for. He never misses one of her stage performances and if he knows where she’ll be throughout the day, he tries to be there so he can see her. His presence hasn’t gone unnoticed by Trillby or her entourage. Whenever they see him, Elmer is always dressed in a very nice looking outfit, so they all assume he’s a very wealthy admirer. In reality, he works in a laundry and borrows the nice clothes. However, Trillby is in love with fellow actor Lionel Benmore (Edward Earle). One night, an actor in the show is unable to go on at the last minute and since Elmer has seen the show so many times, he fills in. Of course, the show ends up being a complete disaster, but since Elmer was very heavily costumed on stage, he was able to sneak backstage and get back into his nice clothes without anyone being the wiser. As if the show wasn’t disastrous enough, after the performance is over, Trillby finds out Lionel is engaged to another woman. When she runs into Elmer backstage, she decides to marry him purely out of spite. It isn’t long before Trillby realizes what a terrible idea this all was. Elmer isn’t the wealthy man she thought he was, Lionel is off with another woman, and she’s so unhappy that she spends her entire wedding night completely drunk. The next day, Trillby’s managers come to help her out of the marriage and convince Elmer to go away for a while so she can get a divorce for desertion. He leaves and accidentally ends up working on a boat with some bootleggers. Eventually, he ends up making his way to being a sailor on a private yacht, which just happens to include Trillby and Lionel as passengers. When a fire breaks out on the ship, it surprisingly ends up being the opportunity he needed to prove to Trillby just how much he loves her. 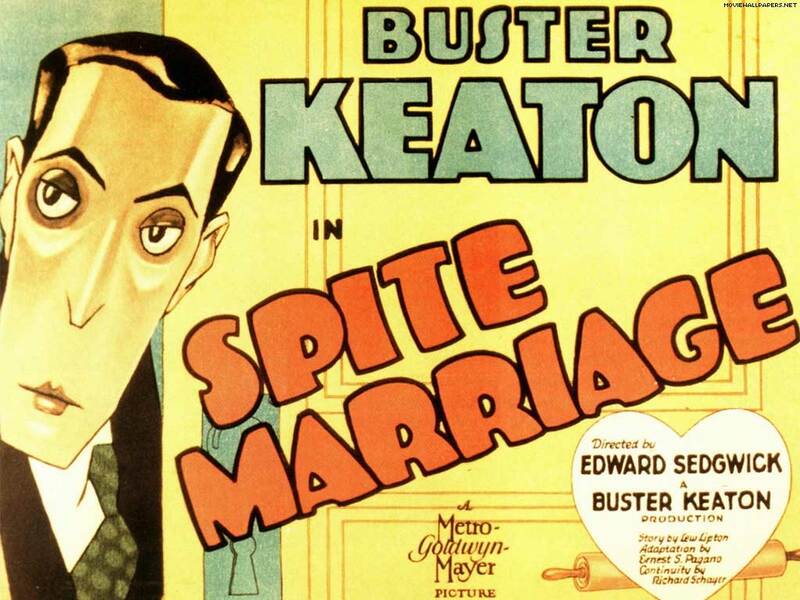 Spite Marriage was the last silent film by the great Buster Keaton and although it isn’t quite the masterpiece that some of his other movies are, it’s still a darn good movie with some really great laughs in it, particularly when Elmer is trying to put Trillby to bed when she was black-out drunk and when Elmer’s filling in for the stage actor and putting on his costume. Buster’s good in it and the movie also greatly benefits from Dorothy Sebastian’s performance; she does a wonderful job of holding her own alongside Keaton. The overall execution of the movie just isn’t quite up to par with some of Keaton’s earlier work primarily because Keaton wasn’t allowed as much creative control over the project. Spite Marriage is widely noted for being the turning point in his career when it started going downhill. This was the second project he made while under contract at MGM and was the last project he made there where he’d have any creative control over during his time there. But even with that lack of control, it was still a very enjoyable swan song for a silent film legend. Posted in 1920s, Comedies, NaBloPoMo 2015, Silents and tagged Buster Keaton, Dorothy Sebastian on November 14, 2015 by Angela. When Tillie (Mabel Normand) meets Charlie (Charlie Chaplin), a good-looking stranger visiting her small town from the big city, she’s immediately smitten by him. Even though Charlie is a real womanizer, Tillie isn’t the best looking woman so he isn’t terribly interested at first. But then he finds out she comes from a very rich family and suddenly, he’s very interested. He talks her into coming with him back to the city so they can elope and she agrees. 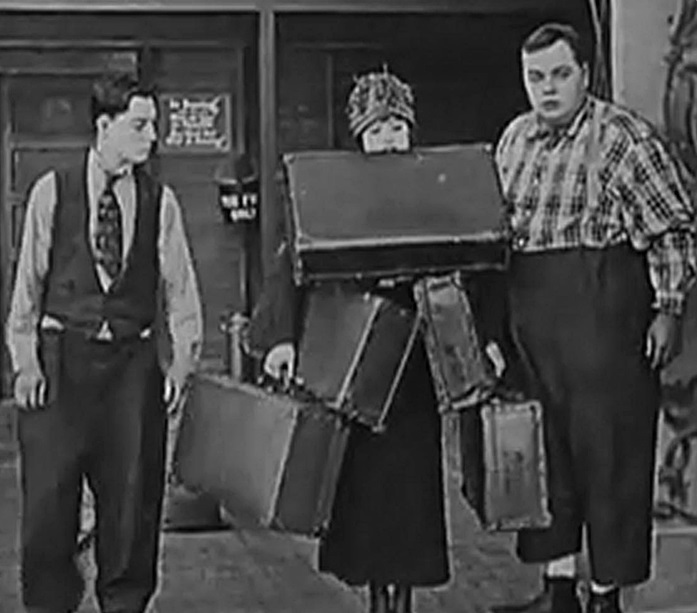 But when they get back to the city, Charlie runs into his former girlfriend Mabel (Mabel Normand). He wants to get back together with Mabel, but really wants Tillie’s money, so he conspires to get Tillie’s purse away from her. Charlie’s big plan to get Tillie’s purse is to get her drunk at a restaurant. His plan works and he runs of with Mabel and Tillie’s money, while Tillie gets arrested. Meanwhile, Tillie’s wealthy uncle is off on a mountain climbing excursion and when an accident happens, he’s believed to be dead. Since Tillie is her uncle’s sole heir, she stands to inherit millions. News of her inheritance makes headlines and when Charlie sees the newspaper, he wants to marry Tillie. After their wedding, Charlie and Tillie move into her uncle’s spacious mansion together, but Charlie hasn’t given up on his womanizing ways — Mabel is now working as their maid. While they’re having a big party, Tillie catches Charlie and Tillie together, she’s outraged and starts firing a gun around (not harming anyone). The party descends into madness that only gets worse when they have a surprise visitor: Tillie’s uncle, who isn’t actually dead. He wants everyone out of his house and he and chases Tillie, Charlie, and Mabel out of the house with help from the cops. When Tillie is chased off a pier and starts to drown, Mabel rescues her. Once they’re back on dry land, Mabel and Tillie both decide they can do better than Charlie and become good friends, leaving Charlie behind. 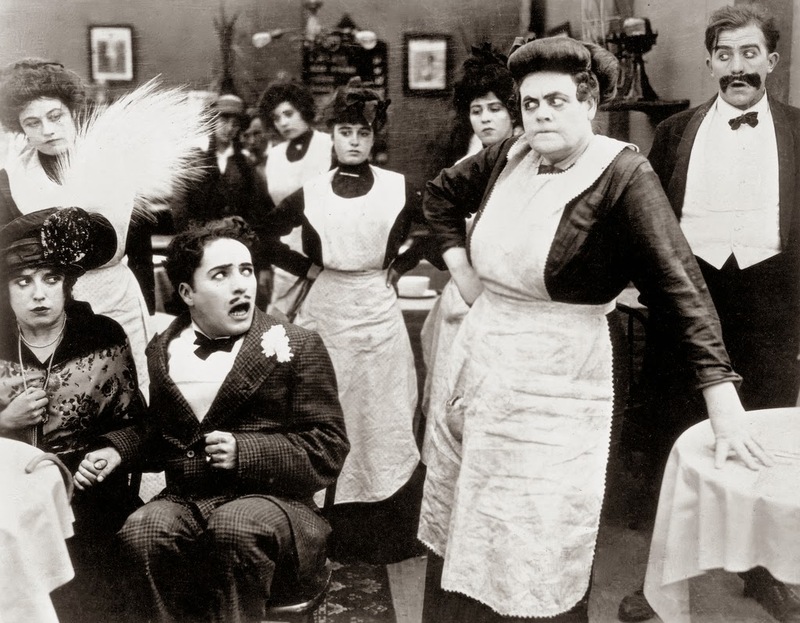 Tillie’s Punctured Romance is a classic of madcap, slapstick silent film comedy. There’s so much chaos and physical comedy, this movie is practically the definition of “slapstick.” It’s not going to be everyone’s cup of tea, but if you want a taste of the type of movies Mack Sennett and Keystone were known for during this era, Tillie’s Punctured Romance is a good choice. Charlie Chaplin and Mabel Normand were staple stars of this era for Mack Sennett’s Keystone studio and it’s noteworthy for being the film debut of Marie Dressler. All three stars are fantastic in it. The character Chaplin plays is not his signature Little Tramp character; the Little Tramp was always charming and likable in some way. The character he plays here is a rather unlikable lout, which makes the ending to the movie a very happy one indeed. In terms of Chaplin’s career, this was a hugely important movie. It was the first feature length film he made and would be the last time he would ever be directed by anyone other than himself. Posted in 1910s, Comedies, NaBloPoMo 2015, Silents and tagged Charlie Chaplin, Mabel Normand, Marie Dressler on November 11, 2015 by Angela.